What's Brewing? 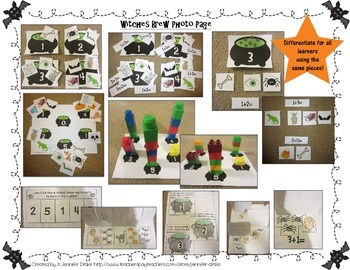 Halloween Fun With Numbers 0-10; Centers, Printables & More! What's brewing in the witches' cauldron? A TON of number fun for 0-10! 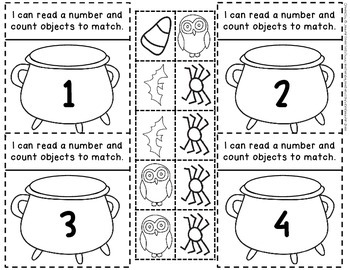 This pack has center activities that can be differentiated for all types of learners to practice counting, 1:1 correspondence, addition, subtraction and more! Looking for a center with b&w printables for extension, practice & more? 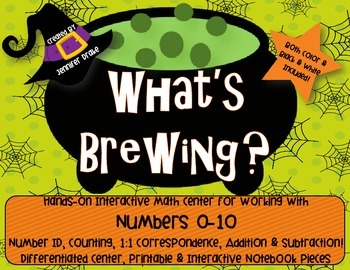 Diving into interactive notebooks/journals with your K-1 students and want some number and Halloween fun? This pack has all that you need and more! Your students are sure to brew up a solid understanding of numbers when working with this pack! Looking for more Halloween and/or math fun? Visit my TpT Store and click on the 'Halloween' or 'Math' (non seasonal) custom category tabs! Consider becoming a follower to receive email notification of new product and freebie uploads! 'Like' me on Facebook for exclusive fan freebies, games, giveaways & more! 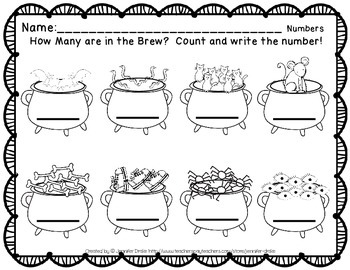 Happy Witches' Brew Number Fun!